How is patient care a human rights issue? What are the issues and how are they human rights issues? Patients are entitled to the full range of human rights. Health care providers must respect each patient’s dignity and autonomy, right to participate in making health care decisions, right to informed consent, right to refuse medical treatment, and right to confidentiality and privacy. The attention, treatment, and care that each health care provider gives to a patient must respect the human rights of every one of his or her patients. The human rights-based approach to patient care draws from standards contained in the international human rights framework, which are often mirrored in regional treaties and national constitutions. It differs from patients’ rights, which codify particular rights that are relevant only to patients. Human rights standards apply to all stakeholders in the delivery of health care—including both patients and care providers. A human rights-based approach seeks, above all, to uphold the inherent human dignity of all actors in the care provider-patient relationship. This relationship can be a complex one, especially when coupled with health care delivery. For example, as medicine becomes ever more advanced, providers and patients must work together to make diagnostic and therapeutic decisions.4 Financial and quality issues are always present in health care delivery and can lead to inequality and discrimination.5 Greater understanding is needed of the social determinants of health that straddle the lines between traditional medicine and a broader concept of health, as well as of the interdependence of the right to health and the realization of all human rights.6 A human rights-based approach uses the human rights framework to analyze these elements of patient care, among others. Below are some common human rights issues that arise in patient care settings. This list is not comprehensive. The list alternates between highlighting issue areas and highlighting marginalized groups whose human rights are frequently violated in the health care setting. Patients have the right to information about their health status, treatment options and reasonable alternatives, and the likely benefits and risks of proposed treatment and non-treatment. Patients also have the right to access their medical chart and medical history. Privacy and confidentiality are also crucial for patients seeking diagnosis and treatment of illnesses with which stigma is attached, such as HIV/AIDS and mental illness. Depending on the type of care an individual is seeking, some health care centers may only allow specific providers to access the patient’s health information. For example, a nurse who is vaccinating a patient may not access that individual’s private mental health records because the information is not relevant to the treatment being provided at that current moment. The right to confidentiality of health information should not interfere with the right to access of private health information. While a holder of private health information should be prohibited from sharing that information with anyone who is not essential to providing health care to the individual, the holder must provide the individual access to their private health information upon the individual’s request. Patients have the right to access their own health information, to be able to control how the information is shared with them (for example, being able to indicate to where mail or phone calls are directed), and to be able to authorize the disclosure of information when desired. The right to confidentiality of private health information, as well as the right to accessibility of private health information, should be upheld and not compromised in respecting the rights of the patient. The right to informed consent is central to the right to health. Issues that arise concern the competency or legal capacity of the patient to consent, respect for personal autonomy, the sufficiency and completeness of information, and circumstances compelling limits on the need for informed consent. There is also particular concern and confusion regarding the right to informed consent for persons with disabilities or mental health illness, two groups whose rights are frequently violated. Treatment decisions are often based on inappropriate factors such as ignorance or stigma surrounding disabilities, and indifference or expediency from staff. The Special Rapporteur on the right to health writes, “[These inappropriate considerations are] inherently incompatible with the right to health, [and] the prohibition of discrimination on the ground of disability … In these circumstances, it is especially important that the procedural safeguards protecting the right to informed consent are both watertight and strictly applied.”19 For more detailed information on disability and health, please see Chapter 9. Many countries have a system in which a guardian or representative is authorized to make decisions on behalf of the legally incompetent individual. Depending on the jurisdiction and circumstances, health providers might also have the authority to commit a person involuntarily to a health care facility. Involuntary commitment is generally reserved for severe cases where the person is in immediate danger of harming him/herself or others. There are frequent issues with guardianship and involuntary commitment because these processes involve denying an individual their autonomy to make decisions. It is crucial that the system be as formal and transparent as possible and to establish procedural safeguards to ensure that the dignity and rights of the individual are upheld. An example of a procedural safeguard for involuntary commitment is to allow courts or tribunals access to challenge the admission.21 For more information, please see Chapter 9 on Disability. Prisoners who are ill often face violations of their rights as patients. Prisoners have the same rights as other patients, including the right to refuse treatment, the right to informed consent, the right to privacy and confidentiality, and the right to information. For example, they have the right to refuse treatment, including abortions and medical testing.22 Conducting these procedures without informed consent would be coerced or forced and in violation of the prisoner’s right to refuse treatment. Derogations from the right to refuse treatment in prison include the prevention and control of communicable diseases and the treatment of mental illness, but both are subject to specific conditions and should be implemented in line with international standards.23 The prison population includes especially vulnerable groups with special needs, including prisoners with mental health care needs, elderly prisoners, and prisoners with terminal illness.24 These vulnerable sub-populations may require special attention to ensure that their rights to health and life with dignity are realized. Other issues include independent and autonomous access to sexual and reproductive services, forced sterilization and forced contraception, and physical and sexual abuse by the care giver.26 Violence and assault against women in sexual and reproductive health care settings perpetuates stigma and discrimination against women that denies them human dignity. The Special Rapporteur to health notes, “Stigma and discrimination against women from marginalized communities, including indigenous women, women with disabilities and women living with HIV/AIDS, have made women from these communities particularly vulnerable to such abuses.”27 The Special Rapporteur on water explains, “Stigma is, by its demeaning and degrading nature, antithetical to the very idea of human dignity. Stigma as a process of devaluation, of making some people “lesser” and others “greater”, is inconsistent with human dignity, which is premised on notions of the inherent equality and worthiness of the human person. 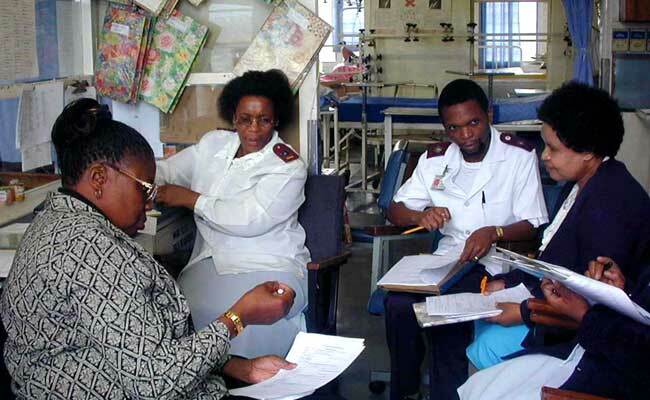 It undermines human dignity, thereby laying the groundwork for violations of human rights.”28 Female patients from marginalized populations have the right to seek health care in a manner that is non-discriminatory and respects their dignity. 1 Dorland’s Illustrated Medical Dictionary, 28th ed., p. 269. 3 World Health Organization (WHO), Declaration on the Promotion of Patients’ Rights in Europe, European Consultation on the Rights of Patients, (1994). 4 Leaning J, “Human rights and medical education,” Boston Medical Journal 315 (1997): 1390. http://dx.doi.org/10.1136/bmj.315.7120.1390. 7 Ducinskiene D et al, “Awareness and practice of patient’s rights law in Lithuania,” BMC International Health and Human Rights 6 (2006):10. www.biomedcentral.com/1472-698X/6/10. 9 Velik-Stefanovska V et al, “Rights of Patients in Macedonia According to European Standards” (2005). 10 Gostin L et al, The Domains of Health Responsiveness –A Human Rights Analysis (World Health Organization Health and Human Rights Working Paper Series No 2, 2003). www.who.int/hhr/information/en/Series_2%20Domains%20of%20health%20responsiveness.pdf. 12 Inter-American Commission on Human Rights (IACHR), Access to Information on Reproductive Health from a Human Rights Perspective (Nov. 11, 2011). www.oas.org/en/iachr/women/docs/pdf/womenaccessinformationreproductivehealth.pdf. 13 UN Committee on Economic, Social and Cultural Rights (CESCR), General Comment No. 14, U.N. Doc. E/C.12/2000/4 (Aug. 11, 2000). 14 UN General Assembly, Special Rapporteur on the right of everyone to the enjoyment of the highest attainable standard of physical and mental health, A/64/272 (Aug. 10, 2009). 15 Akkad A et al, “Patients’ perceptions of written consent: questionnaire study,” Boston Medical Jouranl 333(2006):528. www.bmj.com/content/333/7567/528. 16 UN General Assembly, Special Rapporteur on the right of everyone to the enjoyment of the highest attainable standard of physical and mental health, A/64/272 (Aug. 10, 2009). 17 Inter-American Commission on Human Rights, Access to Information on Reproductive Health from a Human Rights Perspective (Nov. 11, 2011). 19 UN Commission on Human Rights, Special Rapportuer on the right of everyone to the enjoyment of the highest attainable standard of physical and mental health, E/CN.4/2005/51 (Feb. 11, 2005). 20 World Medical Assembly (WMA), Declaration of Lisbon on the Rights of the Patient, (1981). www.wma.net/en/30publications/10policies/l4/. 21 UN Commission on Human Rights, Special Rapporteur on the right of everyone to the enjoyment of the highest attainable standard of physical and mental health, E/CN.4/2005/51 (Feb. 11, 2005). 22 Lines R, “The right to health of prisoners in international human rights law,” International Journal of Prisoner Health, 4, no. 1 (March 2008): 3-53. 24 United Nations Office of Drugs and Crime, Handbook on Prisoners with special needs (2009). www.unodc.org/documents/justice-and-prison-reform/Prisoners-with-special-needs.pdf. 25 Human Rights Watch, Healthcare is Failing Women (Dec. 20, 2011). www.hrw.org/news/2011/12/20/healthcare-failing-women. 26 Inter-American Commission on Human Rights, Access to Information on Reproductive Health from a Human Rights Perspective (Nov. 11, 2011). www.oas.org/en/iachr/women/docs/pdf/womenaccessinformationreproductivehealth.pdf; UN General Assembly, Special Rapporteur on the right of everyone to the enjoyment of the highest attainable standard of physical and mental health, A/64/272 (Aug. 10, 2009). 28 UN Human Rights Council, Special Rapporteur on the human right to safe drinking water and sanitation, A/HRC/21/42 (July 2, 2012). 29 Hogerzeil H and Mirza Z, The World Medicines Situation in 2011: Access to Essential Medicines as Part of the Right to Health (WHO, 2011). http://apps.who.int/medicinedocs/documents/s18772en/s18772en.pdf. 30 World Health Organization (WHO), The World Medicines Situation (2004). http://apps.who.int/medicinedocs/en/d/Js6160e/9.html. The 2011 edition is being released chapter by chapter and will be available at: www.who.int/medicines/areas/policy/world_medicines_situation/en/index.html. 31 Hogerzeil H and Mirza Z, The World Medicines Situation in 2011: Access to Essential Medicines as Part of the Right to Health (WHO, 2011). http://apps.who.int/medicinedocs/documents/s18772en/s18772en.pdf. 32 UN Human Rights Council, Special Rapporteur on the right of everyone to the enjoyment of the highest attainable standard of physical and mental health, A/HRC/17/43 (Mar. 16, 2011). 34 UN Committee on Economic, Social and Cultural Rights, General Comment No. 14, U.N. Doc. E/C.12/2000/4 (Aug. 11, 2000). www.unhchr.ch/tbs/doc.nsf/(symbol)/E.C.12.2000.4.En. 35 United Nations Educational, Scientific and Cultural Organization (UNESCO), Universal Declaration of Bioethics and Human Rights, 2005. www.unesco.org/new/en/social-and-human-sciences/themes/bioethics/bioethics-and-human-rights/. 36 United Nations Educational, Scientific and Cultural Organization (UNESCO), “International Bioethics Committee,” www.unesco.org/new/en/social-and-human-sciences/themes/bioethics/international-bioethics-committee/. 37 World Medical Assembly, Declaration of Lisbon on the Rights of the Patient [Declaration of Lisbon], 1981. www.wma.net/en/30publications/10policies/l4/. 39 Council of Europe, Convention for the Protection of Human Rights and Dignity of the Human Being with regard to the Application of Biology and Medicine [Convention on Human Rights and Biomedicine], 1997. http://conventions.coe.int/Treaty/en/Treaties/Html/164.htm. 40 Active Citizenship Network, European Charter of Patients’ Rights [ECPR], 2002. www.eesc.europa.eu/self-and-coregulation/documents/codes/private/085-private-act.pdf. 41 It is important to note that the pharmaceutical company Merck & Co. also provided funding for this movement. 42 One of the activities of new EU member-states during the process of preparation for accession in the EU was adjustment of health care legislation towards European standards. Many countries, such as Bulgaria, adopted a new health law, whose structure and contents are strictly in line with the European Charter of Patients’ Rights.